Another amazing sunrise in the central Serengeti. 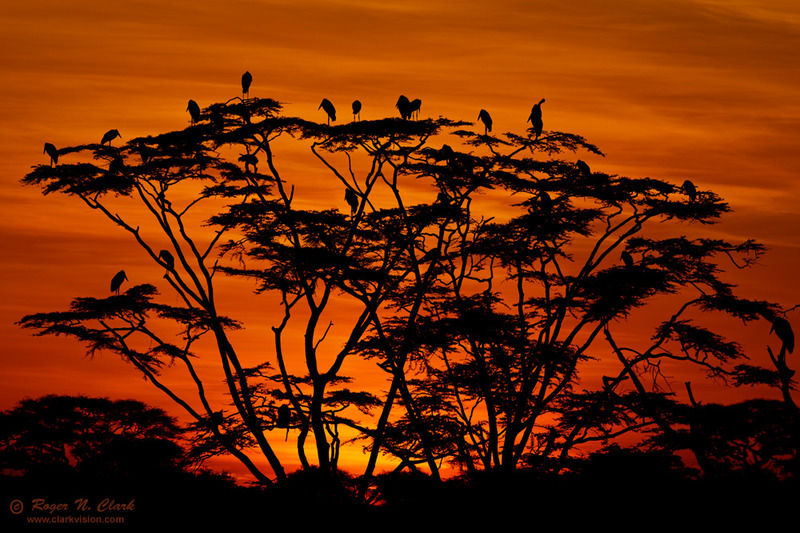 This image was a little before sunrise and the storks and baboons in the tree were all watching the unfolding scene. Canon 1D Mark IV 16-megapixel camera, 300 mm f/2.8 L IS + 1.4x TC giving 420.0 mm. This is a crop from a 15-frame mosaic with each frame at f/8.0, 1/800 sec, ISO 100, manual exposure. The mosaic took 46 seconds to make, with the lens on a beanbag.